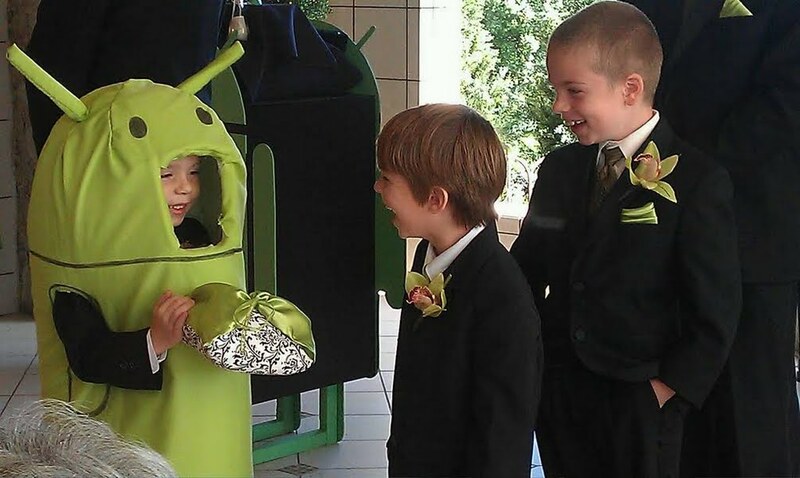 Everyone always thinks they are the biggest Android fanboy or fangirl around. 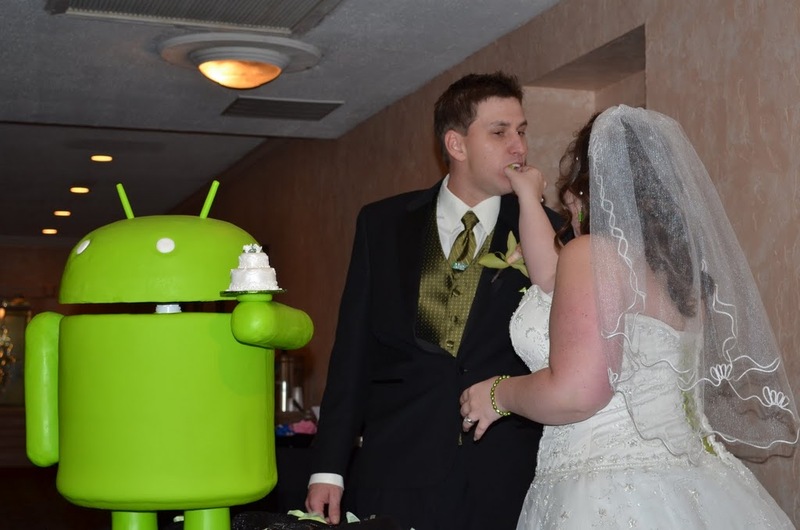 Well I think these two lovely people just ‘took the cake.’ The picture above is from a wedding where bride and groom exchanged vows via their Android devices and even had a giant green Android cake. They didn’t stop there though. 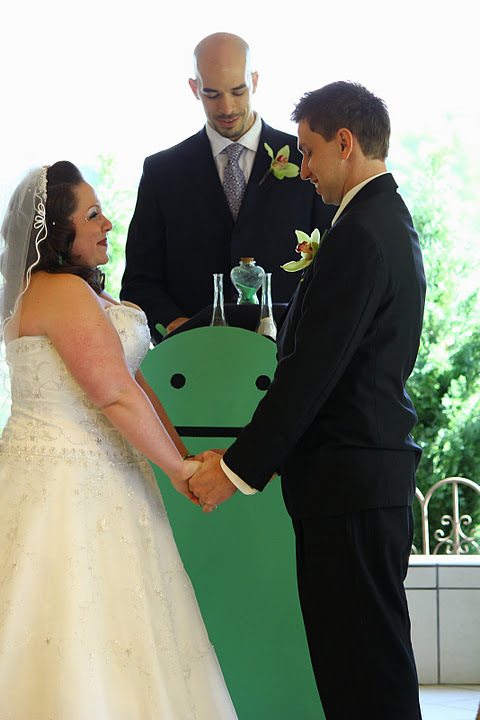 In attendance was an Android ring bearer all of which was centered around an Android podium. Super cute. 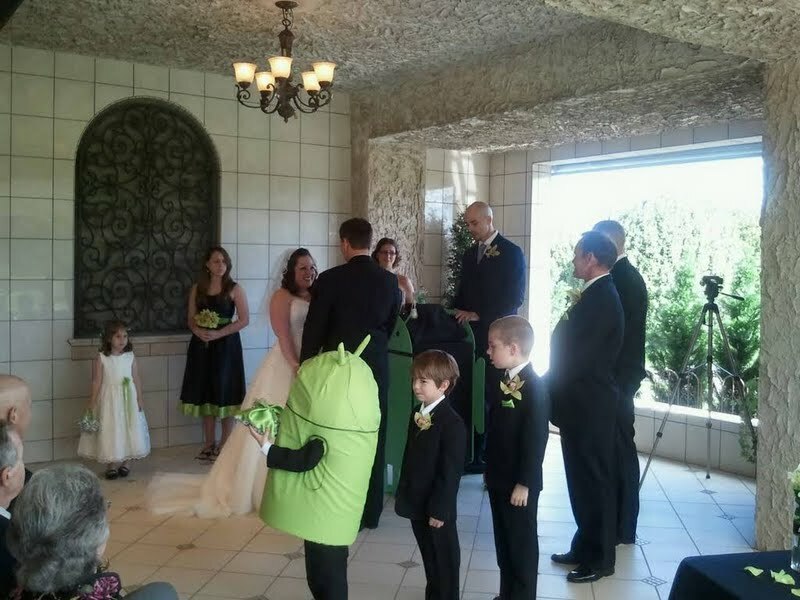 I have heard of Star Wars themed weddings, but this is definitely in a league of its own. Best of wishes to the happy couple. 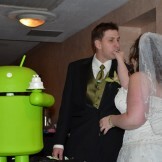 May their Android love last a lifetime. And the November 21 Release Date for the 4G LTE Galaxy Nexus Returns, This Time Thanks to Google?